Welcome to the blog today. I’ll be giving away a free ebook today, so please do come on in and leave a comment and enter into the discussion. That’s all you have to do to be eligible for a free ebook. THE SPIRIT OF THE WOLF was just released on July 22, 2014. Now, funny thing is that no author that I know of likes to say that they like one book over another. Usually my favorite book is the book that I’m writing at the moment. However, THE SPIRIT OF THE WOLF was one of those books that really came from my heart — there are elements in it — scouting for instance, and the incredible abilities of these scouts of old — and other elements that I find fascinating. There is a companion book to THE SPIRIT OF THE WOLF — and that book is THE PRINCESS AND THE WOLF. This is really a continuation of that story — only now told from the viewpoint of Marietta, who was the maid in THE PRINCESS AND THE WOLF. So it’s kind of an odd thing that THE SPIRIT OF THE WOLF is second in the Lost Clan series, and yet is a companion of THE PRINCESS AND THE WOLF, which is not part of that series at all. THE SPIRIT OF THE WOLF is second in the Lost Clan series, a series that has the Thunderer as the antagonist throughout the entire series. The first book introduces the reason why the Thunderer has become so murderous toward this particular clan — and the struggle of a single boy, who must go out into the world — all on his own — and attempt to undo the curse. In my mind’s eyes, the picture above is the picture of my hero — this is one of most favorite of all the paintings of Karl Bodmer, a man who toured the West with Prince Maximilian zu Wied-Neuwied in the early 1800′s. Karl Bodmer, as well as George Catlin, documented in paintings the early days of the West when the Indians were first meeting the white man. It was THE PRINCESS AND THE WOLF that first introduced me to the realm of the Indian scout, and I was at once fascinated. This book continues in that same manner, by introducing the reader to the incredible abilities of the old scout, as well as carrying on the antagonistic relationship of the hero with the Thunderer. Interestingly at the time of writing this story, my husband was very much into reading the HARRY POTTER series and was fascinated with some of the riddles that Harry had to unravel. Because of this influence from my husband, I became interested in the subject matter of riddles, and thus begins the problems that our hero faces in this book, which involves the solving of a deceptively “simple” riddle. As a note, that riddle in the book came from brain-storming with my husband, who really was instrumental in putting that riddle together. But there was another part to this book that I absolutely love, and that part is gambling. Yes, that’s right…gambling. 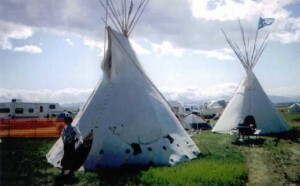 I love pow-wows (the picture off to the left here was taken at the Blackfeet Days pow-wow). It was at this pow-wow that I learned how fun and how popular gambling is/was to the American Indian. Add to that my fascination when I learned that Sacagawea had been “won” by her husband in a game of chance. Wow! What sort of game was this? that would come with a wife as part of the stakes? That game was, I soon discovered, the game of Cos-soo, an Indian game of chance where the loser generally lost everything, even to his clothes, his possessions including his tepee, and…his wife. Often these games were played for days and days without interruption. The hero of this story, Grey Coyote, is desperate. He has only until his 30th birthday to solve the mystery of this riddle or lose his chance of freeing his people forever. He is twenty-nine years of age, with his birthday just around the corner. Add to that his frustration that he is “saddled” with a possession won that could cause him to abandon precious time spent in trying to undo the curse that plagues his people. The heroine, Marietta, is shocked, scared and finally frustrated when she learns she has a “husband,” who might delay her need to hurry home to England, in order to claim her estate. But I’ve left out the most important part of the inspiration for this story — my husband, his sense of honor, his sense of humor, and the way he makes me feel when he kisses me. This picture off to the left is a recent picture, taken in Arizona, I believe, as we were traveling across country earlier this year. If you go to that link, please be sure to read the excerpt printed there — it’s the game of Cos-soo that opens the story. Well, I hope you’ve enjoyed the blog today. 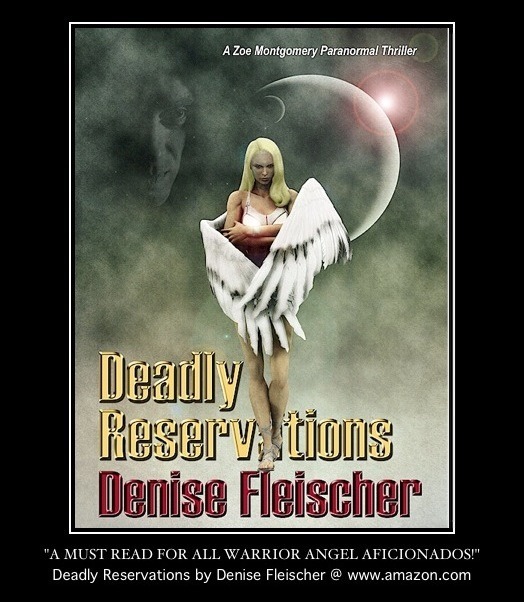 Do leave a comment, and enter into the drawing for a free ebook. Slowly, Grey Coyote returned his attention to the matter at hand. The game of Cos-soo had been started a day ago, Grey Coyote being more than ready to gamble with this particular white man. His eyes didn’t quite meet Grey Coyote’s. While on their honeymoon in Paris, France in the autumn of 1962, George and Eby Pim were lost in the pure moment of their love when a shocking reality strikes. A young woman named Lisette stood on the edge of the Bridge of the Untrue and jumped. Risking their lives, the couple saves her. Instead of returning to her family, Lisette decides to live with the Pims. Her reason is a big part of what has haunted her through her adult life. Fast forward to the present, one year after the sudden death of her husband, Matt, Kate rises from grief to accept the reality of life without her husband. The bicycle business he owned is sold and Kate’s mother-in-law has her and her granddaughter’s life all planned out. Cricket insists that Kate work in her real estate office. That would help earn her a stable living to provide for her daughter, Devin, who is a free spirit and never one to surrender to conformity. 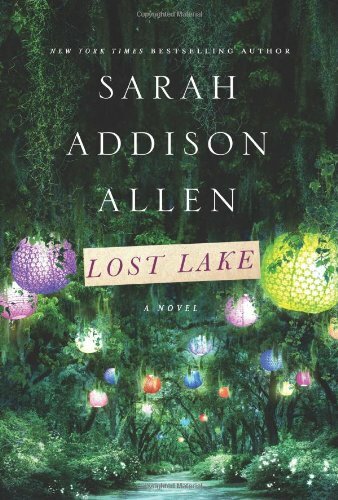 As their home begins being transitioned, getting ready for their moving date, Devin finds a postcard from Lost Lake in a trunk in Kate’s mother’s house, now their own. Kate never knew of the postcard’s existence, that her great aunt Eby had sent it to her. Kate and Devin decide to head over to Lost Lake rather than go directly to Cricket’s home. Cricket is a natural controlling queen bee, but has a political agenda. But fate has a way of dealing out its own deck of cards. Clearly, a genuine connection is at the center of “Lost Lake.” A connection with several guests’ pasts for this is where they spent many summers and experienced contentment. For Bulahdeen Ward, now in her 80s, Lost Lake was where she and her husband, Charlie, both professors, would chill from the hectic pace of school. Bulahdeen now came with Selma since her husband was in a nursing home. Selma is the type of woman you don’t leave alone with your husband, because he wouldn’t be your husband for long. 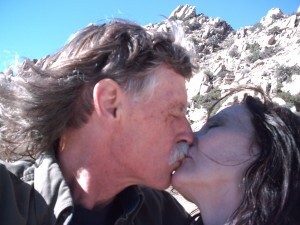 Jack Humphry came to Lost Lake because he loved Lisette and the solitude she could offer. Then there’s Wes, who had a sad childhood, with only a few good memories. Kate as a young girl was one of them. What brings them all together is the hard reality of Eby finally believing it was time to sell her time-worn resort. A developer is determined to make it his. Long-time residents don’t want it to close down. In the middle of it all is Kate’s desire to build her own life and give her daughter a little happiness, what fate is denying them both. What I loved about the book was that Eby and her husband turned away from wealth to build something of greater value. A place where families could enjoy being with each other and escape the stress of their lives. That Kate could see past her grief and move on with her life. That she could be a stronger mother. That ghosts want the living to have the happiness life denied them, as well. 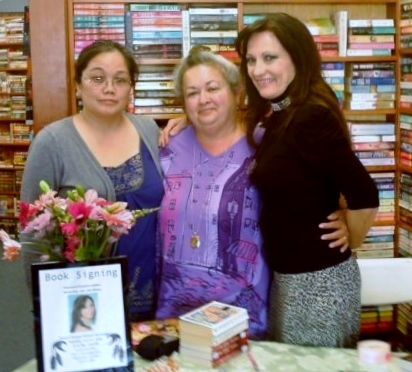 Karen Kay, far right, with a few of her many devoted readers. Your love of writing about American Indian culture, is taking the responsible path. 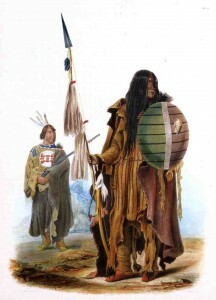 You truly are telling about how it really was for the tribes you feature in your novels. Where did you start your research and what have you learned? How many books have you written with Native American characters? Karen: To date, I’ve written 17 books with a Native American character –I’m working on the next book at the moment. News is that THE SPIRIT OF THE WOLF: The Lost Clan, book 2, will soon be released by Samhain Publishing. Can you tell us about Book 1? Karen: Book 1 begins the series — of which there are four. The beginning of Book 1, THE ANGEL AND THE WARRIOR, tells the story of what this clan did to incur the rath of the Thunderer — the god of thunder in Native American lore. After telling the story of the evil deed that was done and how the Creator averted complete destruction to the tribe, the story goes on to trace the plight of the first boy who is sent out into the real world to try to break the curse for his particular band of the tribe. The book is set along the Santa Fe Trail and involves a heroine who is on the run from the law, along with her wayward brother. What caused Grey Coyote’s challenge that veiled his people in between the living and the spirit world? Karen: In the beginning of the series, the entire clan is cursed to a half existence — that is neither alive nor dead. Caught in the misty existence, the entire clan — all bands of it (each clan always had more than one band of people within it — a clan is divided into different bands) is cursed to live forever neither dead nor alive, and completely trapped — but each 50 years or so, a champion is chosen (a boy) to go out into the real world and attempt to break the curse for his band of people. Is there a way to resolve his people’s nearly impossible situation? Karen: Yes. But the clues given to each boy are personal and different boy to boy, and each boy has only until his 30th birthday to either figure out how to undo the curse or live out his life, knowing that he failed his people. At the start of this book, the hero is 29 years old and his 30th birthday is fast approaching. Who is Marietta Welsford and what brings her and Grey Coyote together? What would you like your readers to know about the series? What formats will the book be available in and where can we order it? Have you started the next book in the series? What type of promotional plan do you have in play? Karen: I plan different blog tours, where I’ll be giving away free books. Plus, I blog regularly (every other Tuesday) at www.petticoatsandpistols.com — where I’ll be offering not only free ebooks, but also free mass market copies of some of my books. Thank you so much, Denise, for this lovely interview. I remember how much fun it is to work with you from a few years ago, and again, this is definitely a fun format. Readers can also look for my books at my website at: www.novels-by-KarenKay.com. ; Thank you again. THE SPIRIT OF THE WOLF – NEW! “Is everything all right?” The soft English voice of their period-costumed waitress in a white mob cap interrupted Elizabeth’s reminiscence. She looked at the floral china tier tray in the middle of their table. The scones were gone, but the tray still held an assortment of finger sandwiches and tiny cakes. 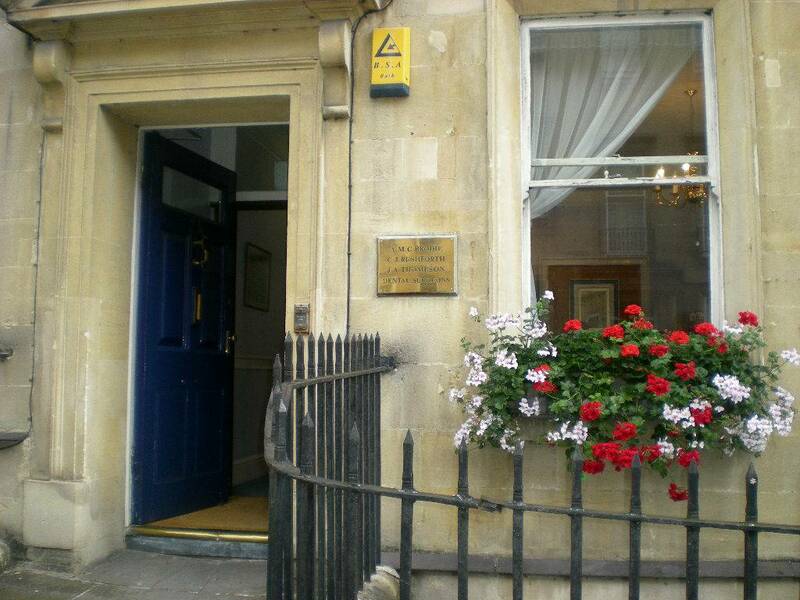 “Everything is perfect.” Elizabeth smiled and gazed around the Regency Tea room above the Jane Austen Centre. “Well, perhaps we might have another pot of tea,” she amended. 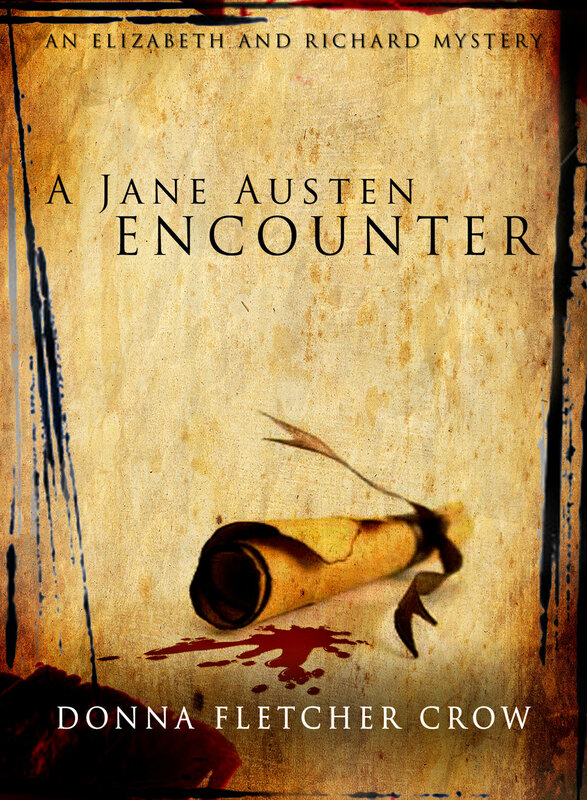 “And how many of those lectures were on the sublime Jane, would you say, my love?” She turned back to her companion. 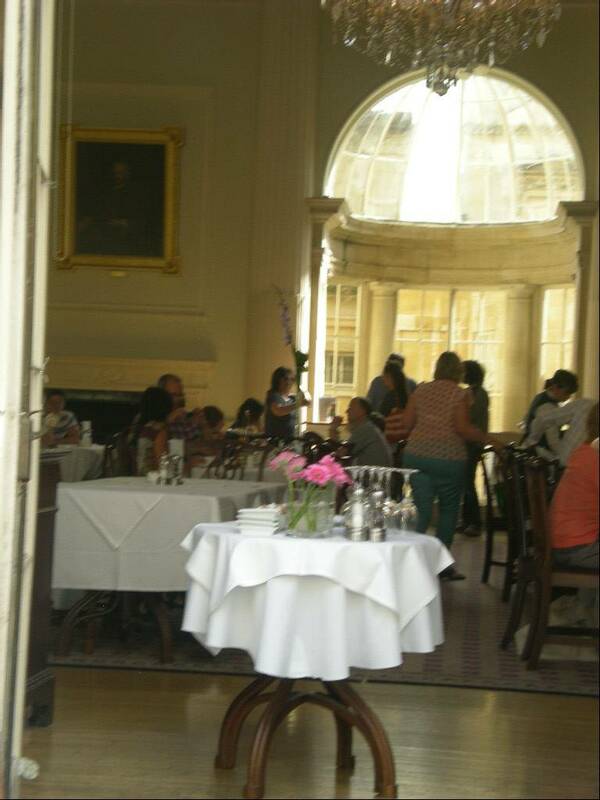 She hid her contemplation under the activity of refilling her teacup from the fresh pot their waitress provided. Her words were true. There had been pain, but no regrets. Even the bad times were good because they had made both of them who they were today. For the first years of their marriage there had been the grief of not having a child, once it became clear that it was not to be. That had been a sharp pain— fear, even, for Elizabeth. Knowing that Richard’s first wife and child had died in childbirth made her want so desperately to make all that up to him. And then she hadn’t been able to. And she was so afraid he would be disappointed. As was she. And Richard? There had been that student who had set her cap at him. Richard had resisted, but the fact that he could be tempted had left scars. Scars that made them both stronger and wiser. She gazed at the planes of his strong cheek bones, now softened a bit by time, and his still-rich brown hair, slightly less thick. But the thing that hadn’t changed at all was the burning intelligence behind his grey blue eyes. Or the way looking into them could make her heart leap. Richard returned Elizabeth’s gaze. After all these years he still felt a jolt of surprise at times that this dynamic woman was his wife. He had fallen head-over-heels in love with her at their first interview when he had struggled so to answer her academic questions instead of blurting out an invitation for her to have dinner with him. But as the years rolled on at their dizzying speed with their lives so full of students and friends and colleagues and family times as they played aunt and uncle to Elizabeth’s sister Tori’s brood, he had come more and more to value their quiet times together. 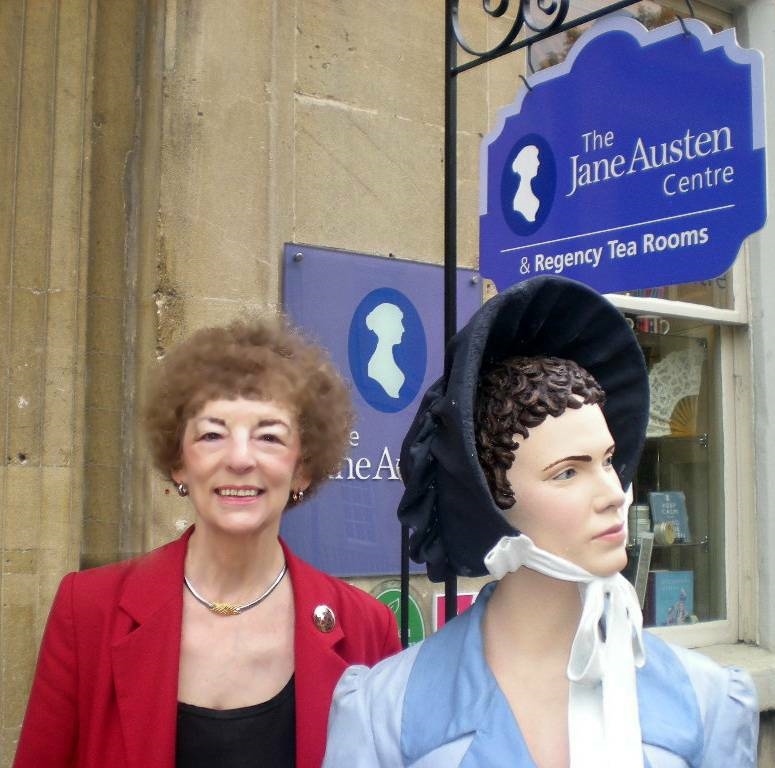 And suddenly here they were— celebrating their twentieth anniversary with the sabbatical they had always dreamed of, touring all the sites where Jane Austen had lived. Of course, for him it would be a bit of a busman’s honeymoon since Rocky Mountain required their faculty to produce works of scholarly research in order to justify granting a sabbatical. And coming up with an appropriately erudite subject was his most pressing mission at the moment. Lucky Elizabeth, she was free of all that now. “Sure you don’t regret resigning your position as department head?” Richard cut in on her reverie. Elizabeth chuckled. Richard knew well her low tolerance for boredom. She had turned down his first proposals of marriage under the misapprehension that he would be boring. How wrong she had been to mistake thoughtfulness for dullness. In twenty years life with Richard had never been dull. And she was determined to see to it that it not become dull now. Whatever new direction life took it must offer challenge. “Definitely no zombies! You’ll find us all purists here. Guaranteed.” Elizabeth started at the clipped, English voice of the newcomer and looked up at a woman with blunt-cut iron grey hair, her broad shoulders encased in a shocking purple blouse. “Dr. Greystone?” Richard rose and took the hand the newcomer offered for a vigorous handshake. Elizabeth saw that she was almost as tall as Richard. “No, not at all, won’t you join us? This is my wife Elizabeth.” Richard pulled out a vacant chair for their guest. 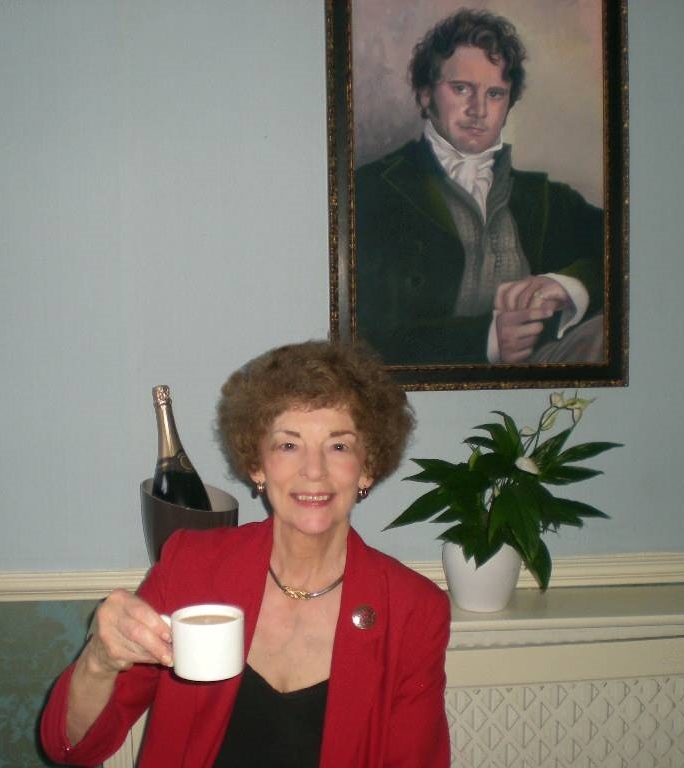 The academic polished off her sandwich in a single bite and launched into a nonstop account of the itinerary she had set for the coming days, punctuated with Austen quotations and esoteric facts from the writer’s life that left Elizabeth blinking. Richard had been delighted when the noted academic had offered to be their tour guide to the sites of Jane’s homes. Elizabeth readily saw the advantage that offered for Richard’s sabbatical study, even though Muriel Greystone might not have been quite the first person Elizabeth would have chosen to accompany them on what was intended to be something of a second honeymoon. But at least they weren’t likely to have this time interrupted by murder as their first honeymoon had been.